If you have been following the thread in our forums, you already have seen this list, but here is the official announcement. 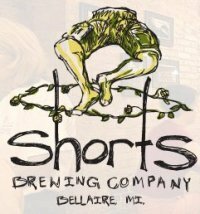 Short's will be bringing 16 different beers to the party at Brickhouse BBQ. It's a wide range from low to high ABV, hoppy to malty, etc. Soft Parade - High Gravity Ale fermented with blueberries, strawberries, raspberries and blackberries. Nicie Spicie - American Wheat Ale with orange zest, lemon zest, coriander and peppercorns. Dans Pink Skirt - American IPA with 159 IBUs provided by Summit hops. Cerveza De Julie - Mexican Style Lager with Lime. Strawberry Shorts Cake - Golden Ale brewed with fresh strawberries, milk, sugar and biscuit malts. Kiwi Destroy Mission - An experimental kiwi Saison with a funky bubblegum Belgian yeast aroma. Spruce Pilsner - Imperial Pilsner brewed with Northern Michigan Spring Blue Spruce Tips. Beard of Zeus - India Style Pale Lager brewed with bitter orange rind and Zeus hops. Hazy Daze - A medium bodied, rauchbeir lager with smokey campfire aromas and a lively, tingly mouthfeel. Locals Light - A light, yet very tasty lager. We're really looking forward to another great party. Big thanks to Short's for continuing to work with us and Brickhouse BBQ. Central Waters' list should be coming up later this week. Cheers!